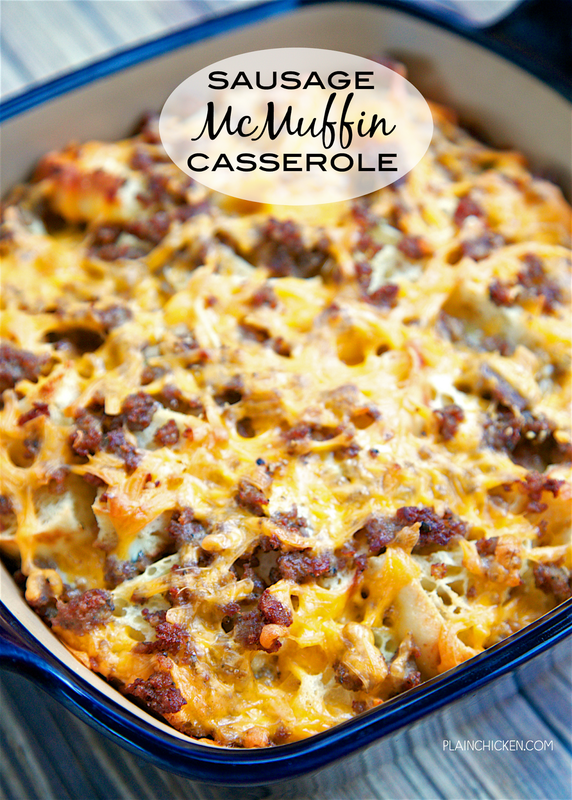 Sausage McMuffin Casserole - Chopped English muffins, sausage, cheese, eggs and milk. Can make a day ahead of time and bake for breakfast, lunch or dinner. 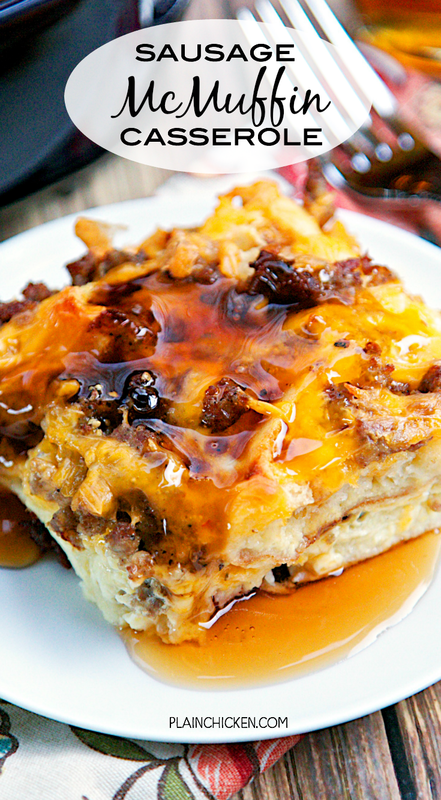 All the flavors of a Sausage McMuffin from Mc Donald's in a yummy breakfast casserole. Serve with maple syrup! 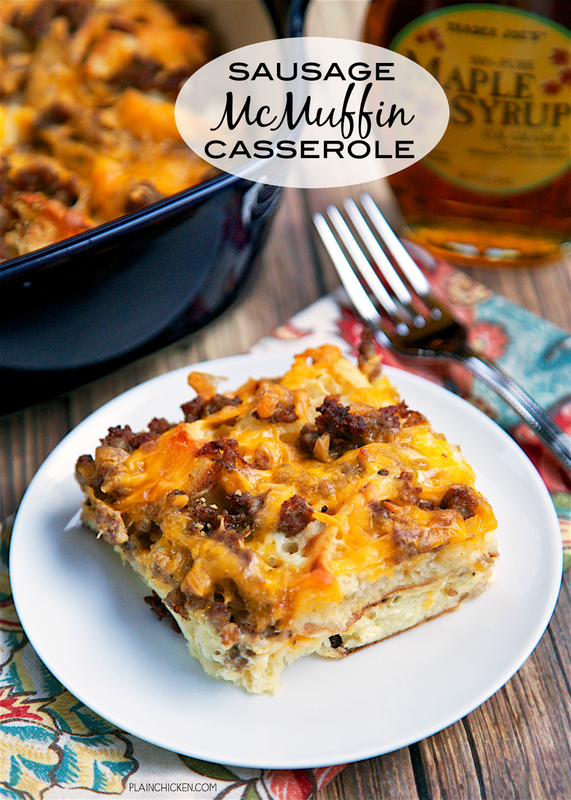 One of our favorite breakfast casseroles is the McMuffin Casserole on the blog. It is SO good! I didn't have any canadian bacon in the house, so I decided to try it with sausage. Sausage McMuffins are my favorite fast food breakfast, so I had high hopes for this version. The verdict? Delicious!!! Chopped English muffins, sausage, cheese, eggs and milk. I mixed this up in the morning and we ate this for lunch. Chicken Legs recommends serving this with some maple syrup. I gave it a try with the syrup and it was really good. 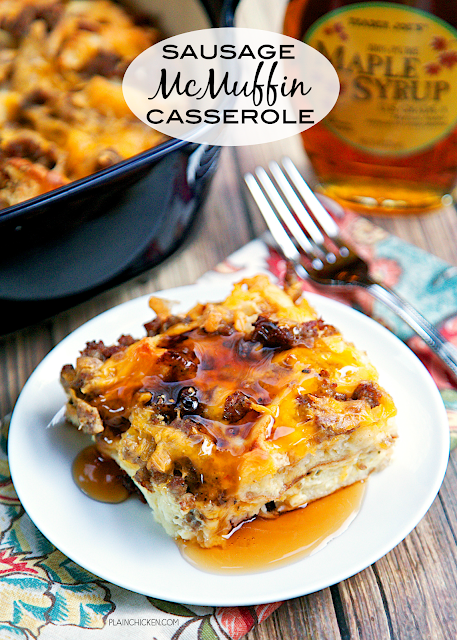 This would be great for an easy weekday breakfast, brunch, or even overnight guests. Serve this with some fresh fruit for a complete meal! Grease an 8-inch square baking dish. Cut each half of the English muffins into 6 pieces. Add half of the cubed English muffins in a single layer. 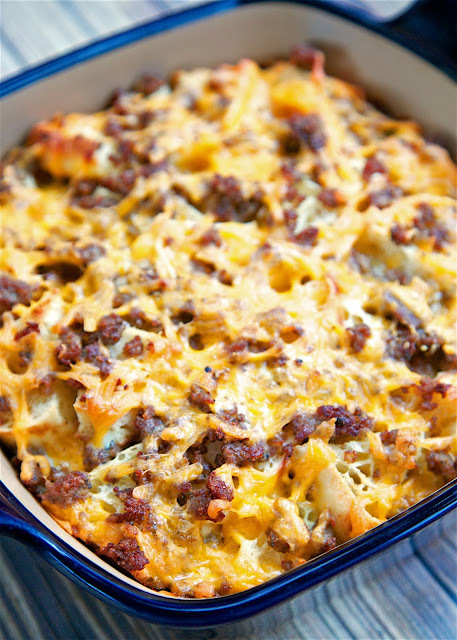 Top with half of the sausage and 1/2 cup of the cheese. Layer the remaining English muffins and sausage and 1/2 cup more cheese. Whisk together the eggs, milk, salt, and pepper in a medium bowl until combined. Pour the egg mixture evenly over the casserole. Wrap the baking dish with plastic wrap and place refrigerate for at least 1 hour, or up to 1 day. Girl!! Whatttttt!! 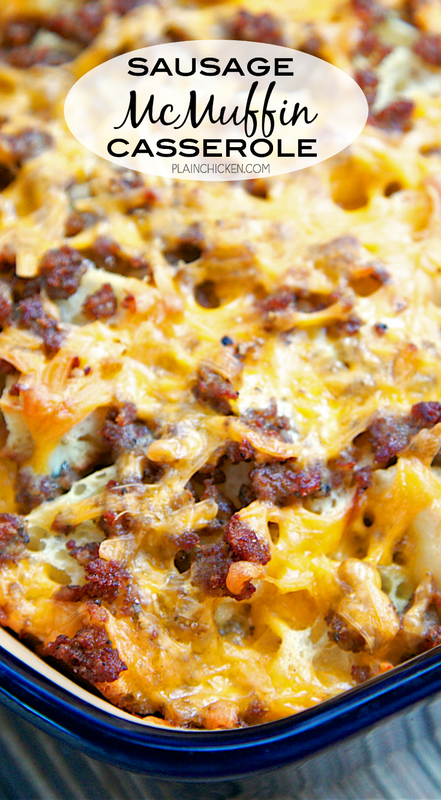 How did I NOT know that this casserole existed?? Trying ASAP! The original Egg McMuffins were served with orange marmalade...a much forgotten breakfast condiment. Going to the grocery store to pick up what I need to fix this. Thank you for the recipe.